The following set of photos and names has been publicly posted to other sites, including Cryptome. However, with the recent confirmation that Flickr removed and censored these photos, we wish to ensure that this information reaches as many people as possible. We are also aware that this site is visited frequently by members of the Egyptian government and the International Criminal Court. When we stormed State Security Police headquarters in Nasr City, which hosted one of Mubarak’s largest torture facilities, on Saturday I found two DVDs in one of the offices, both titled “أرشيف السادة ضباط الجهاز” The Agency Officers’ Archive. 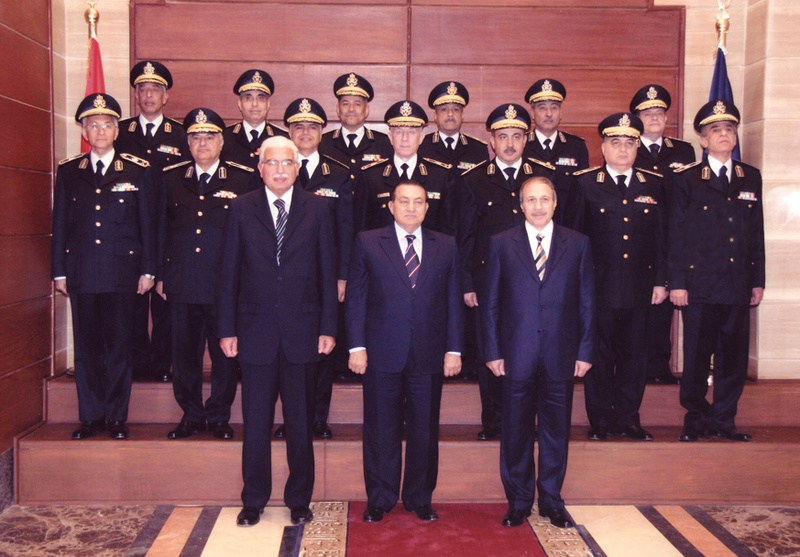 The DVDs included profile pictures of State Security officers, organized in folders. Each folder had the officers’ name. Some however did not have the names. There were also sub folders that included pictures of those officers in social events like weddings. I don’t know what was the purpose of these two DVDs, but I sincerely thank the State Security officials who gave us this present on a golden plate. I initially uploaded the profile pictures to this flickr set and added them to the Piggipedia. But unfortunately, flickr censored the pictures on grounds of “copyrights infringement”! With the help of ANONYMOUS and other bloggers in Egypt and abroad, I re-uploaded the pictures to the cyberspace, and they are now hosted on several sites. I urge you all to circulate them. And if you have any more information about those officers please come forward. Each member of SS has to be brought to justice. This was an agency devoted to spying, surveillance, torture and murder. Every member of this organization from the informer all the way up to the generals should be prosecuted. SS has to be dissolved. It cannot be “restructured” like what the current PM is calling for. Although those torturers violated our private lives on a daily basis, bugging our phones, offices, and even our bedrooms, I will respect the privacy of their families and will not publish the photos of their social events that included family members. Photos of 168 officers whose names are not known are also contained in the file.